is that a submarine or a whale? We don’t have reported whale sightings in Paris during World War II, but young ones definitely can become separated from their pod when disoriented by percussive noises like bomb blasts. Hope, determination, and Mama’s ukelele – that’s all that Chantal and Franklin have to aid them during the long and perilous trip back to the sea. What is the hope that you cling to during terrible times? Book info: A Whale in Paris: How It Happened That Chantal Duprey Befriended a Whale During the Second World War and Helped Liberate France / Daniel Presley & Claire Polders; illustrated by Erin McGuire. Atheneum Books for Young Readers, 2018. [Daniel’s author site] [Claire’s author site] [illustrator site] [publisher site] Review copy and cover image courtesy of the publisher. My book talk: Miraculously, despite German soldiers swarming through Chantal’s beloved Paris, a whale appears in the Seine River! Such hope it brings to the war-weary citizens! So angry are the Germans that it won’t obey their orders! The 12 year old names him “Franklin” after the American president who has promised to liberate France. But food is so scarce in 1944, and some Parisians say that Franklin is eating all the river fish, that perhaps he should be feeding them instead! Why did this wonderful sea beast come so far up the river? Can Chantal convince Franklin to go away to safety? Can she overcome her fear of the water that claimed her mother and go with him? In the darkest days of World War II for Paris, a young whale and a young woman race to rescue Papa and Aunt Sophie from prison. the old man sees land ahead – but which land? When he doesn’t return that night to their small coastal town, the fisherman’s wife goes searching for him, consulting the marine authorities, a soothsayer, and her own heart. Join them on this wordless adventure/voyage/love story with scary and hilarious sidetrips! Are you ready to travel to recover someone or something that you love? Book info: The Sea of Love / Wilfrid Lupano; illustrated by Gregory Panaccione. Lion Forge, 2018. [artist site] [publisher site] [book trailer] Review copy and cover image courtesy of the publisher. My book talk: A Breton fisherman’s daily routine goes awry when his small boat is entangled by a mega-trawler, sending him on a trans-oceanic adventure far beyond his familiar French coastal waters in this near-wordless graphic novel. Paddling the life raft to their village, the first mate tells the fisherman’s distraught wife that the huge ship Goldfish has taken the old man away! How will he survive stormy seas and angry seagulls? Can she get word to the captain of Goldfish to help her husband? If the vision in the pancake is correct, he is safe, but how to get there? Love and devotion, Brittany’s traditional lacemaking, tropical island and revolution, cans of sardines (oh, how he loathes sardines…) – over 200 pages of mishaps, persistence, and waves for miles make this story a keeper. No way she will find love in the City of Light! Sophie is so mad at Dad for leaving them behind, for not following through on promised piano, for… everything! More complex than the usual ‘summer romance in a romantic city’ story, Sophie has to work through her feelings of abandonment, apprehension about auditions and college costs, and misunderstandings with her own brother (and all the French teens in Camille’s group, all of them!) as she decides if a summer love is worth potential heartbreak. Paris – alone or with a special someone? Book info: One Paris Summer / Denise Grover Swank. Blink, 2016. [author site] [publisher site] Review copy and cover image courtesy of the publisher. My book talk: Meeting him was the best part of her summer in Paris, but since Matthieu is friends with the new stepsister who hates Sophie, even the prospect of using his mom’s piano to practice for upcoming auditions loses its luster. And with her former crush traveling over to stay with her brother Eric for a few weeks (Dad is trying to make peace after leaving them behind in South Carolina after the divorce), it’s all going to get complicated… really, really complicated! Is it okay to like Matthieu when he was Camille’s friend first? When will Dad understand that abandoning his kids for a fancy French wife is unforgivable? Why can’t she clear her mind and just practice, practice, practice for music scholarships? Mixed messages from Matthieu may be more than errors in translation when Sophie’s emotions swing wildly during One Paris Summer as first love may be just around the corner. Through the early years of World War II, intrepid teens try to outwit ingenious villains in a game of chase through the US and Europe with deadly consequences. Yes, it’s Book 2 of a duology. No, you don’t have to read Vango: Between Earth and Sky to get up to speed on the complex and fascinating storylines (I had only this one and easily got up to speed on who was who, etc.). But if you can get Book 1, do it, just so you can doubly glory in the wordplay, round-the-world plots, and stunning translations of the adventurous tale of Vango, Cat, the invisible monastery, Ethel, and Zefiro. Who would you follow across oceans? Book info: A Prince Without a Kingdom (Vango, book 2) / Timothee de Fombelle, translated by Sarah Ardizzone. Candlewick Press, 2015. [author bio] [translator interview] [publisher site] Review copy and cover image courtesy of the publisher. My book talk: Chased from his childhood refuge, orphaned teen Vango uses disguise and stealth to track down the man trying to kill him, while Ethel formulates plans to assist him as World War II erupts. The Cat connects clues and Resistance fighters as she traverses the rooftops of Occupied Paris – too many enemies? How can the abbot of the Invisible Monastery be aboard the Hindenburg zeppelin? Is Edith’s brother safe as an Allied aviator? Second in the Vango duology, A Prince Without a Kingdom can easily be read alone as a cross-continent, multi-stranded adventure of love and loyalty during wartime, stunningly translated from the French original. Die in an underground palace of terrors? Anouk hates so much about her sophisticated adoptive parents, perfect little sister, and their polished life. The chance to join an exclusive teen research team in France is too good to pass up… and definitely too good to be true. Read the first chapters of A Drop of Night here courtesy of the publisher, and get hooked on this diverse crew of teens assembled for a supposed archaeology exploration… into a death trap. Can you ever really outrun the past? 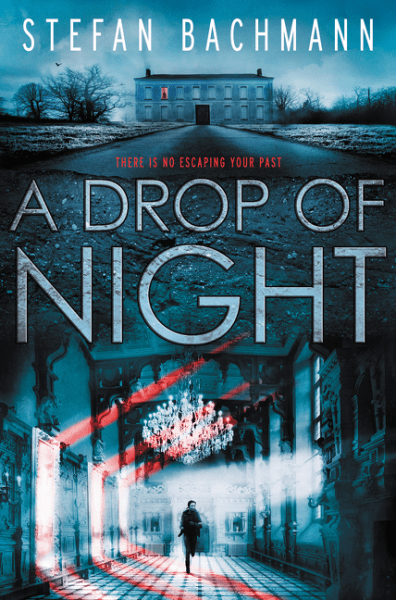 Book info: A Drop of Night / Stefan Bachman. Greenwillow Books, 2016. [author site] [publisher site] Review copy and cover image courtesy of the publisher. My book talk: Lured to the French countryside by the promise of a unique historical exploration, 17-year-old Anouk gladly escapes her posh New York City family and finds herself in a subterranean chateau filled with mysteries and death traps. Maybe the five teens were picked for their various skill sets, but Anouk, Will, Jules, Hayden, and Lilly start wondering about Project Papillon’s true motives soon after they arrive at the remote French chateau with armed guards (and no cellphone service). Why is Sapani Corporation relying on these kids to explore a historical site that’s been sealed for over 200 years? Who is controlling the fighters they encounter underground and the hideously deadly puzzle rooms they must get past? What if Professor Dorf isn’t the only one watching them down here? Three far-flung friends walk the Camino de Santiago pilgrimage from the French Pyrenees to the Spanish coast, each for her own reasons, encountering heartache, love, physical woes, and personal victories in their month together during the summer after graduation. Ask for this travelogue in three voices at your local library or independent bookstore – they may have to invoke interlibrary loan or special order, but it’s worth the wait! Can you ever be fully prepared for a journey that’s guaranteed to change your life? p.s. Happy first day of the Blogging from AtoZ Challenge! I’ll recommend 26 books in 26 days of April, A to Z. Book info: Along the Way: Three Friends, 33 Days, and One Unforgettable Journey on the Camino de Santiago / Jacqueline Kolosov. Luminis Books, 2015. [author blog] [publisher site] Review copy and cover image courtesy of the publisher. My book talk: Walking the Camino de Santiago brings three young women closer together as the childhood friends meet other pilgrims from around the world, push their own physical and emotional limits, and find what they didn’t even know they were seeking. Dani, Piper, and Tessa met as kids in Chicago, but live far apart now, so this 500 mile pilgrimage from France through Spain is their chance to reconnect before college and journey beyond their own comfort zones. How can they balance family expectations with their own dreams? Are the girls walking away from problems or toward understanding? Cute guys in France and Spain – distractions or companions? If kitty pix make you go “Awwww” and photos of gorgeous guys make you go “Rawr!” then this is your book! Add it to your favorite indie bookstore wishlist (search here for a great bookstore near you: http://indiebound.org) or just go buy it now as a gift for the person who appreciates cat cute and masculine musculature. And, yes, the French photographers are adding more fellow and feline picture-pairs to their tumblr! Book info: Men & Cats /Marie-Eva Gatuingt and Alice Chaygneaud. Perigee Books, 2015. [authors’ tumblr] [publisher site] Review copy and cover image courtesy of the publisher. 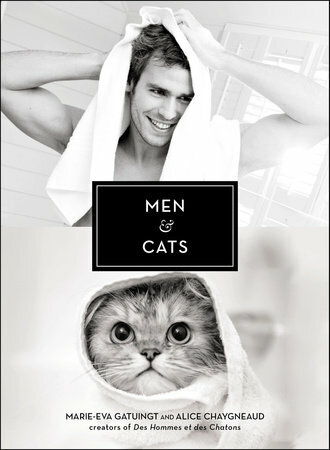 My book talk: Photos of men and cats in matching poses prove that no words are needed to communicate the concepts of “cute plus captivating” as the creators of the wildly popular Des Hommes et des Chatons tumblr have created 50 new combos for this book. Whether shirtlessly lounging in the sunshine or dually dapper in bowties, each pair of pix has a particular shared visual element (the one with blue eyes!). The City of Light remains, a beacon! Noted magazine illustrator Mahé has distilled centuries of French history into this wordless graphic novel, detailing the changes in a single block of buildings through good times and bad from 1270 to recent times. Ask for this October 2015 release at your local library or independent bookstore or favorite comics shop, and enjoy his full-length publishing debut with all its verve and humorous/tense details. What changes have you seen in your own town’s buildings over the years? 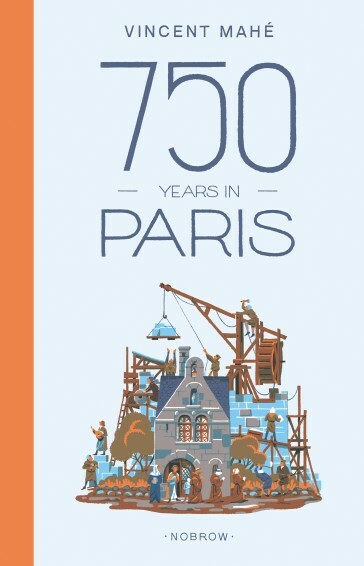 Book info: 750 Years in Paris / Vincent Mahé. Nobrow Books, 2015. [author’s Facebook page] [publisher site] Review copy and cover image courtesy of the publisher. My book talk: Buildings rise and fall, as history’s parade of changes affects a single street in Paris over the centuries, as seen by a French illustrator with an eye for fascinating details. Vincent Mahé four-color palette ably depicts military victories and invasions, celebrates society’s modernizations, and portrays the City of Light’s evolution from dirt-street hamlet to vibrant metropolis, all from the perspective of one short city block’s buildings. As its narrow lens helps readers focus on history’s broad sweep, 750 Years in Paris uses human-scale details to wordlessly convey the gradual or abrupt changes that this single location has seen since the 13th century. For this final week of their summer program, AudioSYNC brings us two very different stories of teens coping with World War II . Remember, these free complete audiobooks are only available from Thursday through Wednesday (12 Aug 2015), but you have free use of them as long as you keep them on your computer or electronic device. Just click on the title to reach its download page with quick registration. Thank you to @AudioSYNC and all the audiobook publishers who provide these great free downloads – looking forward to summer 2016! 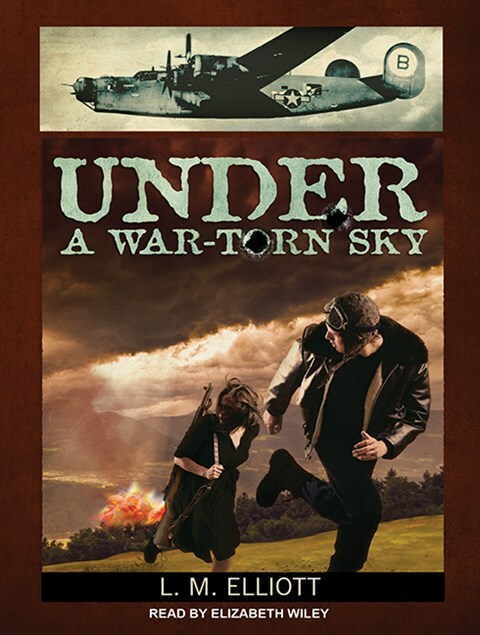 Shot down behind enemy lines during WWII, a young American pilot tries to reach safety with the help of French Resistance members and learns first-hand of their sacrifice and bravery. 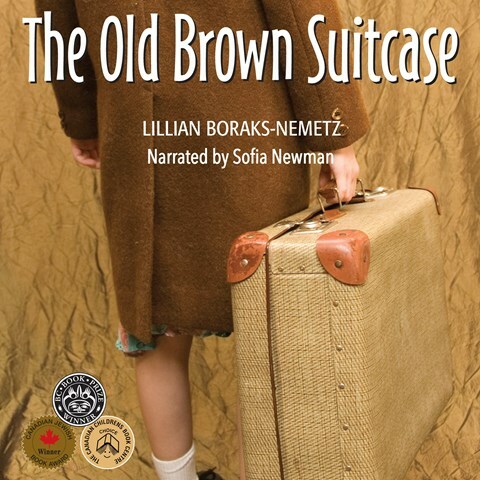 Published by Post Hypnotic Press Inc.
From the Warsaw ghetto to a new life in Canada, Slava carries a battered suitcase filled with memories and more sorrow than any 14 year old should have endured – can the young Jewish woman ever fit in? Courage in harrowing circumstances – got it? the Black Rattlers will prevail or die trying. As the world marks the centennial of World War I’s start this month, follow the African-American 369th Infantry from routine prejudices in the US to the unpredictable violence of trench warfare in this stunning graphic novel. Combining emotion-packed art (be very, very glad that it’s not in full color) with the era’s poems and narratives, this book unlocks a little-known episode of American history as the “Men of Bronze” inch toward the Rhine through mud, blood, lice, and poison gas. Get it today at your local library or independent bookstore. I’ll wait here for you – I’m going to read it again myself. p.s. Will Smith has already optioned it for a movie. p.p.s. Yes, the author is the same Max Brooks who wrote World War Z. 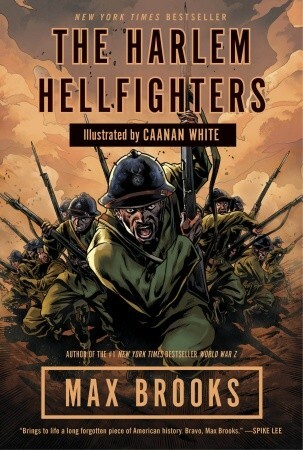 Book info: Harlem Hellfighters / Max Brooks; art by Canaan White. Broadway Books, 2014. [author site] [artist Tumblr] [publisher site] [NPR interview] Review copy and cover image courtesy of the publisher through BloggingForBooks.org. My book talk: Black skin, white-hot patriotism, red blood on the battlefields of France – the 369th Infantry fights prejudice from the US Army itself en route to pushing German forces back to the Rhine during the Great War. Practicing with broomsticks instead of the new rifles issued to white troops, the black National Guardsmen nevertheless become a formidable fighting unit with the best regimental band anywhere. When the Men of Bronze from New York complete their training in South Carolina and ship out overseas in 1914 with no parades or fanfare, they fight in the muddy, bloody trenches alongside grateful French forces, determined to reach the Rhine. A most graphic illustrated retelling of an ignored episode of US history, Harlem Hellfighters uses the 369th’s enemy-given nickname in this true story of bravery and sacrifice.